An extinction event for foundations? Private foundations – the legal entities that have funded social innovations as diverse as breakthrough civil rights litigation and the development of the 911 emergency response system – may be nearing an end. This is certainly not because they have spent down their endowments; the largest still contain billions of dollars and as of 2014 independent and family foundation endowments still contained over $700 billion in assets. Like the dinosaurs in their twilight, these organizations will live on, but they may be the last of their kind, as innovative legal structures for philanthropy attract donors and dollars. As was true of the mammals that supplanted once-dominant titans, the philanthropy LLC may not make a great first impression. But unlike the private foundation, it offers founders an enticing blend of flexibility, privacy, and control. In exchange for the privilege of tax advantages, private foundations must comply with a broad range of regulatory limitations – from endowment spending mandates, to limits on investment activity, to prohibitions on political activity. Failure to meet this expansive web of requirements can result not only in loss of tax-favored status, but penalty taxes imposed on the organization and its leaders. These rules are particularly troublesome for philanthropists like Chan and Zuckerberg, for whom investments in for-profit companies and contributions to political campaigns and causes are important components of their philanthropic vision. Forming a philanthropy as a for-profit LLC instead of a private foundation eliminates them entirely. Bypassing private foundation status also neatly avoids the panoply of disclosures such entities must make: everything from the substance of their finances to the names of their donors. Finally, eschewing nonprofit status means a donor can make the ultimate course correction: rather than locking donated assets into the charitable stream, an LLC structure allows philanthropists to change their minds and take back their assets. 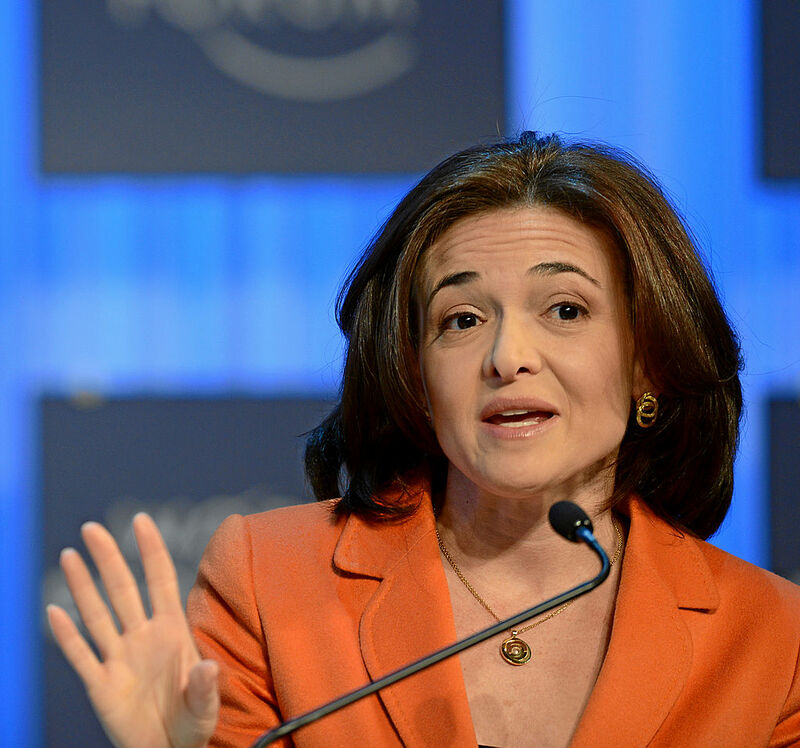 Sheryl Sandberg, Chief Operating Officer and Member of the Board, Facebook, USA; Young Global Leader Alumnus gives a statement during the session ‘Women in Economic Decision-making’ at the Annual Meeting 2013 of the World Economic Forum in Davos, Switzerland, January 25, 2013. Image credit: Sheryl Sandberg World Economic Forum 2013 by World Economic Forum. CC BY-SA 2.0 via Wikimedia Commons. Of course, there are costs to choosing for-profit philanthropy – essentially a higher bill. A philanthropy LLC won’t itself be tax-exempt and income passed through to its owners will be taxable. Likewise, the interests a founder holds in their philanthropy LLC will be included in their taxable estate at death. But these tax costs can often be minimized. The income of an LLC formed to pursue social good may well be low or even negative. Moreover, just as income will be passed through to its owners, so will the deductions for any charitable contributions it makes. Any estate tax concern can also be easily avoided with an estate plan that donates the interest in the LLC to a tax-exempt charitable entity at the founder’s death. For many wealthy donors, the tax costs of a philanthropy LLC will be outweighed by its advantages in flexibility, privacy, and control. For donors who still view optimal tax savings as paramount, another vehicle will also often outperform the private foundation: the donor-advised fund. A donor-advised-fund is a kind of green room for charitably-destined assets. Donors contribute cash or other assets to their funds, and a sponsor entity holds and manages the assets until they take the stage. The sponsor – technically – chooses the recipient, but donors are permitted to advise the sponsor of their preferred recipients. So long as recipients are tax-exempt public charities recognized by the IRS, sponsors almost invariably comply. A donor-advised fund offers two principal advantages over a private foundation: timing and deductibility. The timeline for donor-advised fund distributions is flexible. Sponsors will typically make a distribution swiftly on donor advice; in fact, some enable donors to initiate the process with a few mouse clicks. Some sponsors also make efforts to nudge donors to offer advice on stagnant accounts. But, in notable contrast to foundations’ annual five-percent endowment payout mandate, tax law doesn’t require distributions to occur on any particular schedule. Donors’ tax deductions, in contrast, are available immediately. They also can be more valuable to the donor-taxpayer than identical contributions to a private foundation. For example, gifts of appreciated property – like Sandberg’s stock – to a donor-advised fund are deductible at their full, fair market value. Deductions for contributions of appreciated property to private foundations are limited to the donor’s basis. Innovations like the philanthropy LLC and the Fidelity Charitable donor-advised-funds appear poised to relegate the private foundation—and with it the traditional boundary between the nonprofit and for-profit sectors—to the dustbin of history. For good and for ill, we can no longer easily separate the worlds of seeking profit for owners and doing good for others. The availability of these alternatives will make philanthropists think hard before establishing a traditional private foundation. Structures like these may encourage greater investment for prosocial activity, but they also dampen tax law’s ability to channel the power of elite philanthropists. Featured image: “Dollar Money Us-Dollar Arrangement Funds Currency” by geralt. CC0 via Pixabay. Professor Dana Brakman Reiser has been teaching and writing about social enterprise and nonprofit law as a member of the Brooklyn Law School faculty since 2001. Professor Steven Dean joined the faculty at Brooklyn Law School after practicing transactional law at two global law firms. 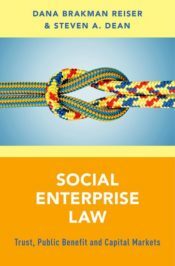 They are the authors of Social Enterprise Law: Trust, Public Benefit and Capital Markets, a new release from Oxford University Press.